Chemotherapy-induced peripheral neuropathy (CIPN) affects up to 40% of cancer survivors and is associated with functional deficits and an increased falls incidence. There are presently no strongly recommended treatment strategies for CIPN. The aim of this study was to evaluate the impact of a multimodal exercise intervention on CIPN symptoms and related functional deficits, as well as neurophysiologic parameters. All outcomes were assessed before and after an 8-week exercise intervention (3-weekly sessions) and preceding 8-week control period at baseline, pre-exercise and post-exercise. Outcome measures were objective and patient-reported CIPN, standing and dynamic balance, mobility, quality of life, and sensory and motor nerve excitability and conduction studies. 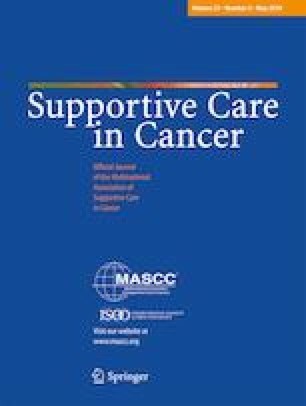 Twenty-nine cancer survivors (8 male, 21 female; mean age 61.6 ± 11.8 years) with CIPN symptoms affecting function completed all assessments. Objective and patient-reported CIPN, dynamic balance, standing balance in eyes open conditions, mobility and quality of life were improved from pre- to post-exercise (4.0 < F < 10.2; p < .05), with no changes over the control period (p > .21). No changes were observed in sensory or motor neurophysiologic parameters (p > .23). This study provides encouraging evidence of the rehabilitative potential of multimodal exercise for persisting CIPN in a post-treatment cohort. Large randomised controlled trials are justified to confirm observed benefits and determine the mechanisms and clinical significance. This study was supported by a Cancer Institute NSW Program Grant (14/TPG/1-05) and a National Health and Medical Research Council of Australia (NHMRC) Project Grant (no. 1080521). SBP is supported by a NHMRC Career Development Fellowship (no. 1148595). All participants gave their written consent prior to participation. This study was approved by the South Eastern Sydney Local Health District human ethics committee (no. 15-318), performed in accordance with the Declaration of Helsinki, and prospectively registered with the Australian New Zealand Clinical Trials Registry (Trial ID: ACTRN12616000318482).